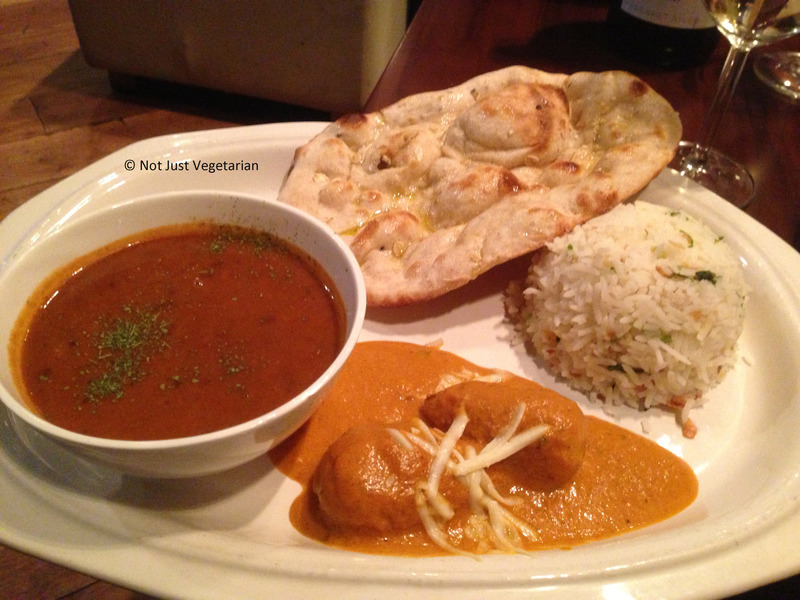 Indali Lounge in Central London serves Indian food that’s prepared in a healthy way – it’s the first cream-free and dairy-free curry restaurant in London (It’s not a vegan restaurant, because, yoghurt is used to marinate chicken, fish etc. and milk is used in desserts). Butter, ghee (clarified brown butter) and cream are not used in curries / dals, instead sunflower oil and olive oil are used (sparingly, per Indali). 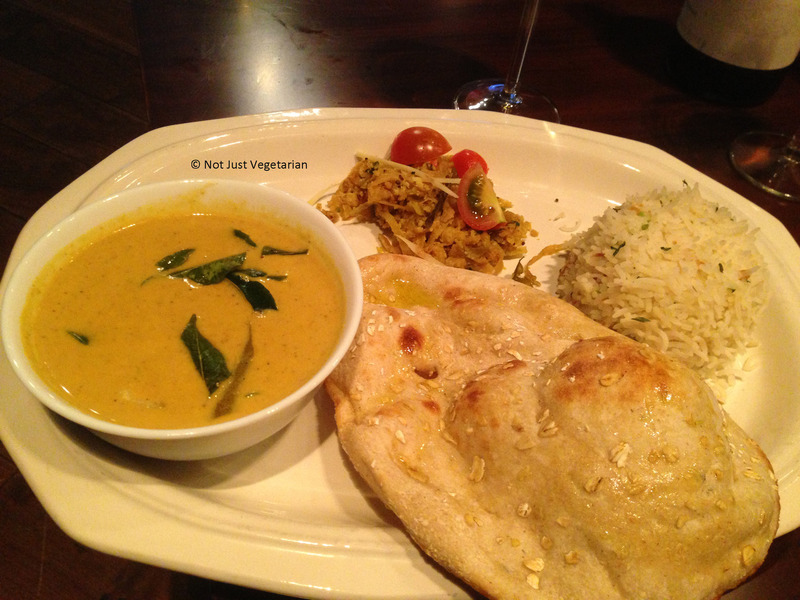 Naans (flat breads) are made from wheat, whole grain alpine barley and oats and food colouring is not used in tikkas. The food tasted authentic and delicious! Service was friendly but distracted even though we were the only guests for most of the afternoon. Indali Lounge is a (surprisingly) large restaurant given its location in Central London. The few of us who met at Indali for a re-union had the restaurant exclusively to ourselves (for the most part) that Sunday. Indali is not in the same league as Amaya or some of the better known, more blogged about restaurants (Benares, Gymkhana, Trishna etc.) that serve authentic Indian food, but it serves authentic Indian food prepared in a healthy way with ingredients that are good for you and charges you very reasonably (2 courses for £11, and 3 courses for £14). The appetizers were all universally good, although the portion was really small. 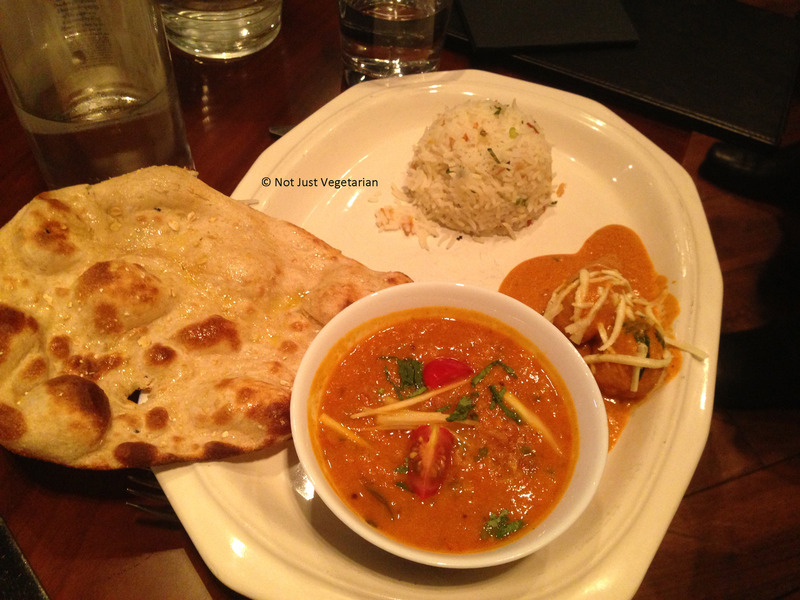 The main course includes a mixed cereal naan, a cup of steamed white basmati rice, a couple of dals / curries – quite filling and the perfect portion size for one person. 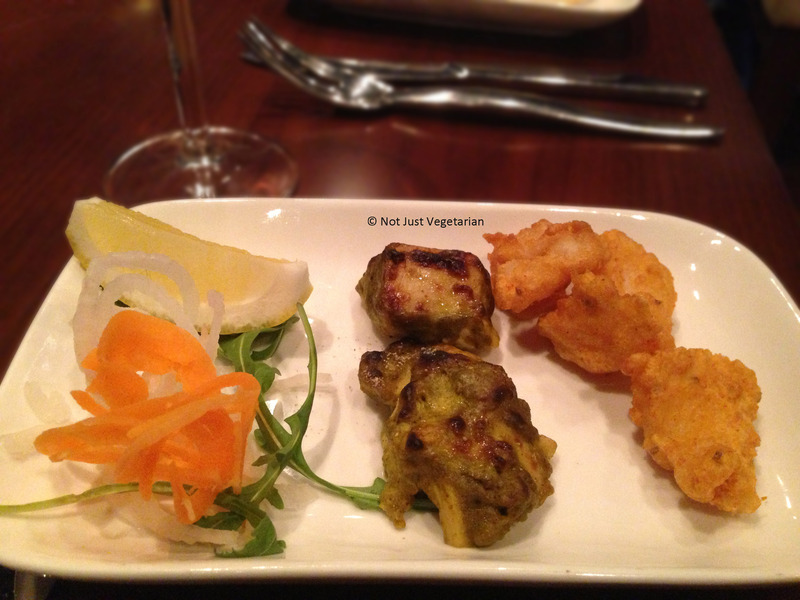 I loved the Amritsari Fish Tikka, and the Kandhari chicken malai tikka for appetizers. 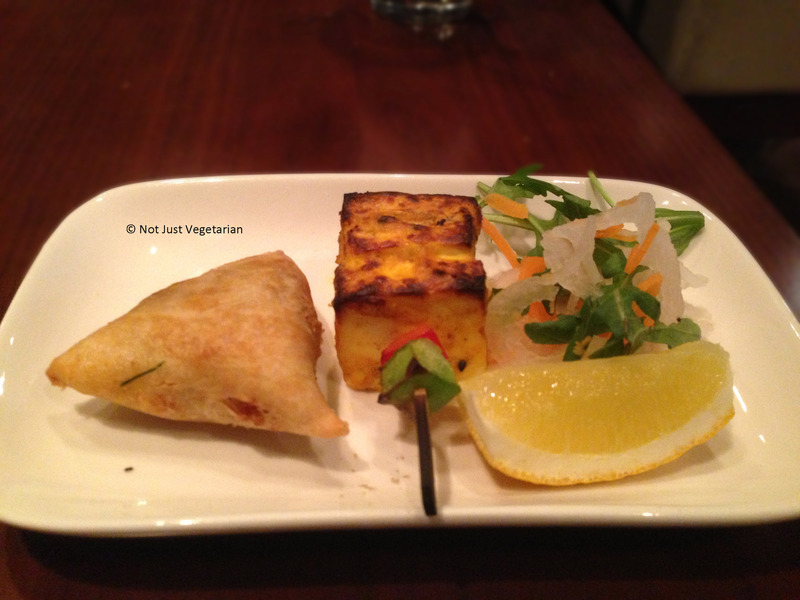 Friends who got the vegetarian appetizer were happy with the paneer tikka and the samosa. The Goa fish curry was made with coconut milk was excellent (there were only 3-4 pieces of fish in the curry). The shredded cabbage Mysore style was a disappointment – the cabbage was over-cooked and the coconut did not seem fresh. Some friends who had the Hyderabadi Malai kofta were not impressed with it. 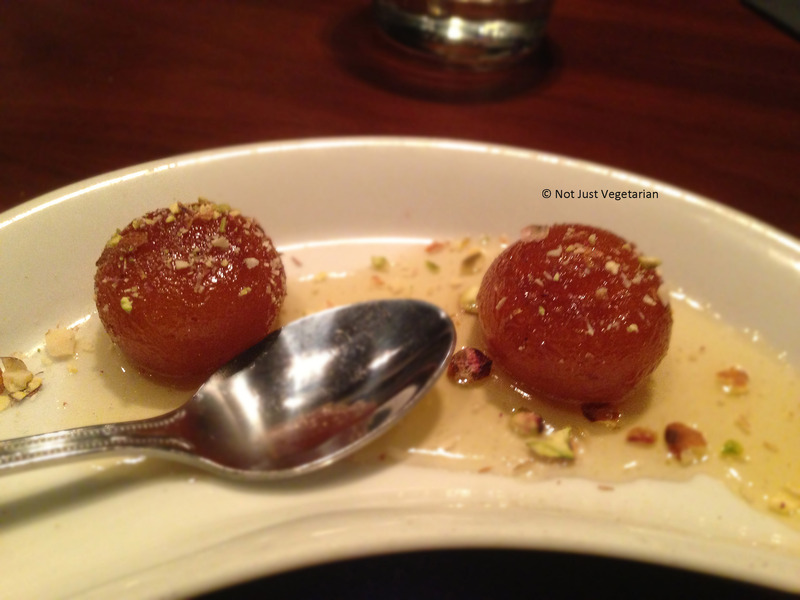 The desserts were excellent – the gulab jamun had a crisp exterior and a soft interior and had the perfect amount of sugar syrup, while the mango kulfi tasted of fresh mango and was delicious. 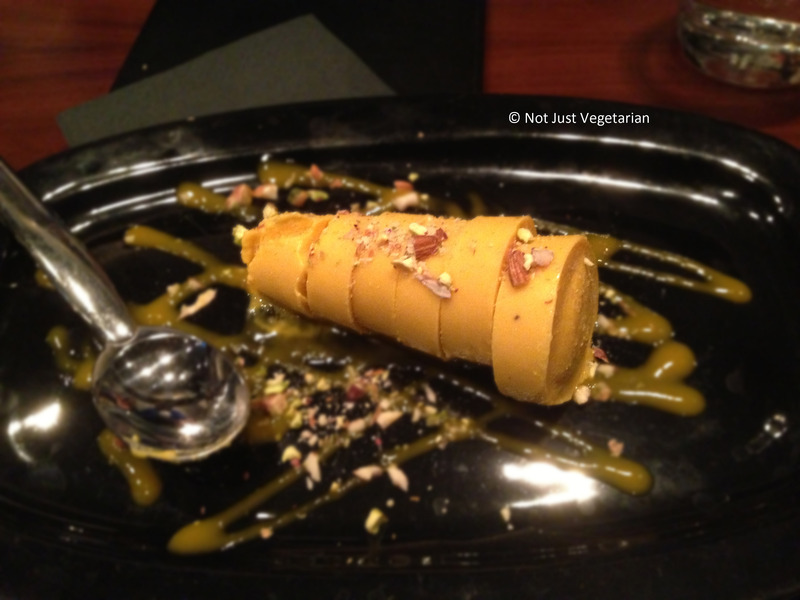 (Much better than the blueberry kulfi that I had at Mint Leaf, although not as good as the one I had in Nirvanaah in Sunny Vale, California).